Laying-by Time highlights a broad sample of work by William Christenberry. Drawing on his explorations, recollections and interpretations of Hale County, Ala., Christenberry balanced the beauty, hopefulness and resilience of the deep south against its tensions, pathos and flaws. Moving fluidly between painting, photography, sculpture and drawing, the artist wove a story that is simultaneously celebratory and melancholy, inviting and inhospitable. The exhibition includes examples of the artist's lesser-known works alongside iconic imagery, as well as the charged and rarely exhibited Klan Room Tableau, a dense multimedia installation that is his response to the Ku Klux Klan and human capacity for hatred and violence. The exhibition is an opportunity to consider the artist's practice and influences, as well as his work's relevance against a backdrop of contemporary concerns. 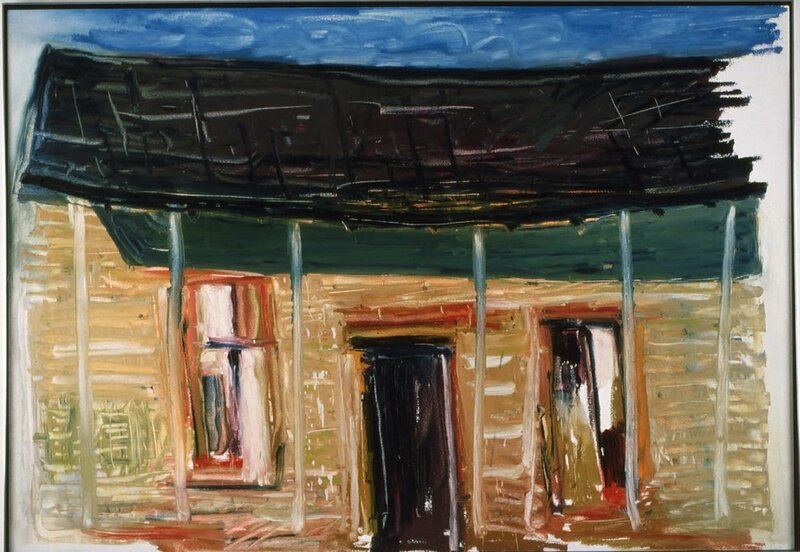 Tenant House by William Christenberry .